I read this novel for the fantasy genre of my reading challenge. 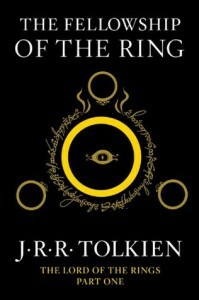 Or maybe I should say that this is a start since I plan to read The Lord of the Rings, so I can't really consider it done until I read all three volumes. It is a good thing I read The Hobbit first since you really have to in order to know anything about the physical characteristics of hobbits, dwarves, elves, trolls, and so on. And it gives background on the history between the dwarves and elves which is good to know before reading TLOTR. Unfortunately I read The Hobbit at the very end of 2012 and my memory wasn't the greatest about these things. I wish I remembered more about all of that before I read this. Having said that, I enjoyed this quite a bit more than I did The Hobbit. And I can't really put my finger on why that is so. Fantasy is not my preferred genre and I've done very little reading in it. So the Tolkien books will never be some of my favorites as they are of so many people. I've never even seen the movie versions of TLOTR which probably puts me in with about 5% of Americans. 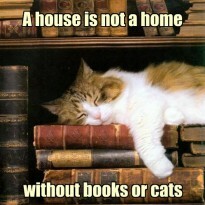 I plan to rectify that issue after I've read the book. One should always read the book before seeing the movie because they are virtually always vastly superior. And it is fun to sit and gripe the whole way through a movie about that very fact. What I enjoyed about The Fellowship of the Ring is the interplay of the various personalities. Frodo sounds from the beginning like he will be somewhat more brave than Bilbo was in his quest. And he is braver I think. There is less focus on him that I thought there would be and more on all the characters as a whole. I love Sam, Merry and Pippin. They are as brave as Frodo and each as good a friend as anyone could want with their devotion to follow Frodo no matter what. And Aragorn (or Strider) is a practically indestructible man, the silent loner type, and I am interested to see what his future holds. The only reason I am giving this 4 stars instead of 5 is because there are so many place names and so many references to figures in the history of middle earth. The part of this book where everyone is at Rivendell and they are telling their various stories about how the Ring came into being and how they things got to where they were at that point started boring me. Plus they are sometimes referred to in one language and sometimes in another. It is impossible for me to keep many places and people from the past straight. And Tolkien loved to include all the verses of the songs sung by the hobbits and elves which I pretty much skip over. Nevertheless I enjoyed this volume very much and look forward to the next volume: The Two Towers.